The mission of North Carolina Central University's School of Education is to prepare candidates academically and professionally to assume socially responsible positions that advance the general welfare of North Carolina people. The university is committed to serving its historical population of African American students as well as an increasingly diverse clientele. The School of Education's conceptual framework, "Preparing Educators for Diverse Cultural Contexts," under girds the school's curriculum and represents the faculty's commitment to preparing teachers to teach children from all racial, cultural, socio-economic, and religious backgrounds. 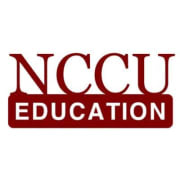 The North Carolina Central University School of Education began in 1925 as a collection of courses intended to train black teachers and principals to work in the racially segregated school system of the Jim Crow South. It became a department in the College of Liberal Arts in 1928 and a full-fledged school in 1989. The School of Education moved to its present facility in August 2000. The 109,000 square-foot, state-of-the-art facility boasts full wireless capability, a teleconference classroom, Technology Enhanced classrooms, 350-seat smart auditorium, speech and hearing clinic, and communications and technology laboratories. The building was named in honor of North Carolina House Representative H.M. Michaux, Jr., in 2007. Would you recommend North Carolina Central University?